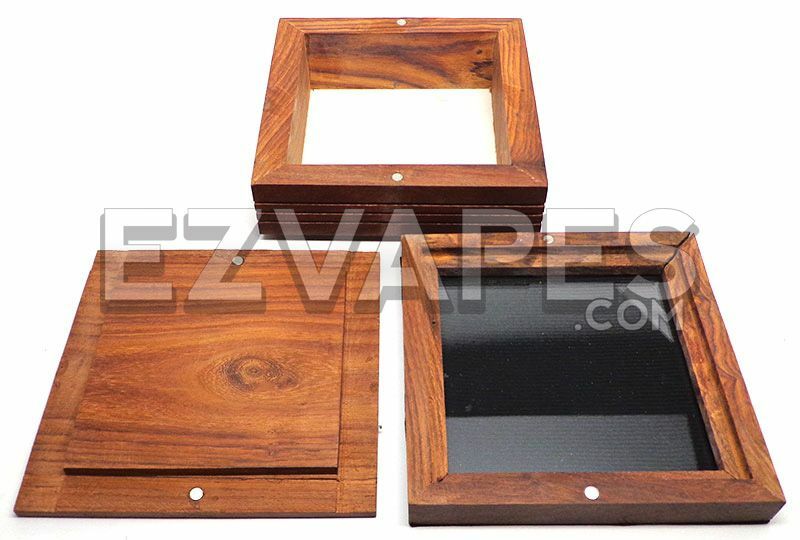 Sifting boxes work double duty both as a storage container and as a pollen sifter. 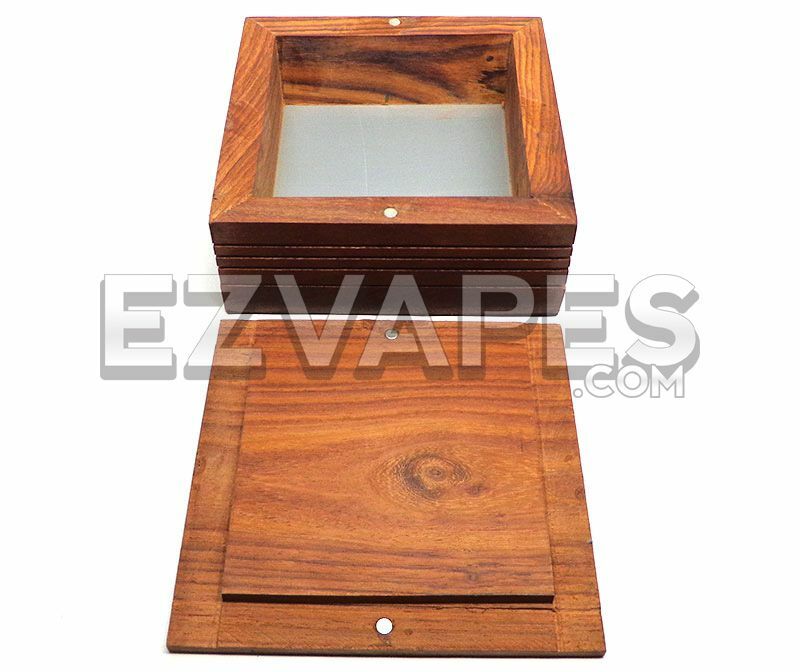 This simple yet elegant pollen sifter has everything you need to get started and at a great price. Store your material on the nylon screen in the first layer and when you're ready to collect your pollen remove the bottom layer and scrape the glass plate. 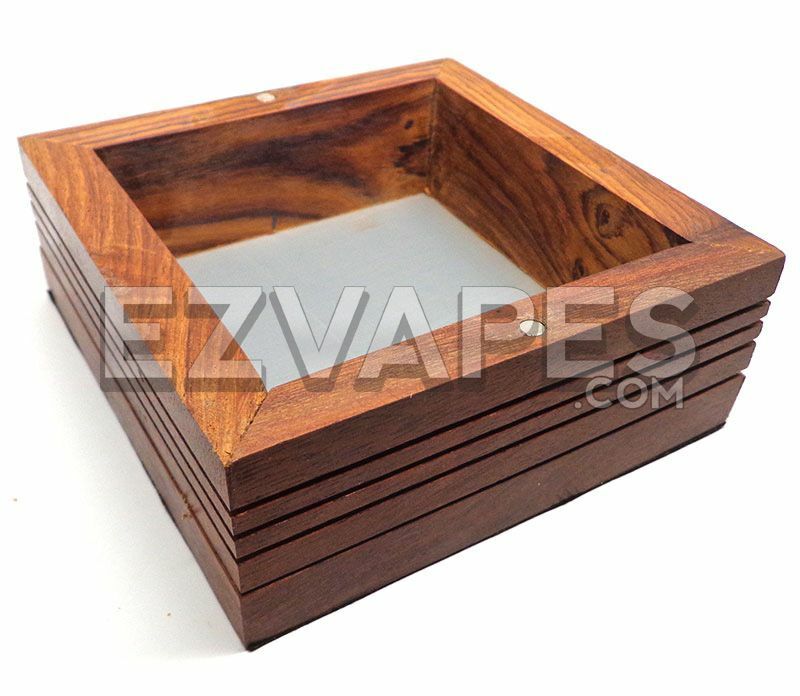 The dark Sheesha sifting box measures 5 inches long, 5 inches wide and just over 2 inches tall, so it stores away nicely, but its beautiful finish and etched design is going to make you want to keep it within sight. 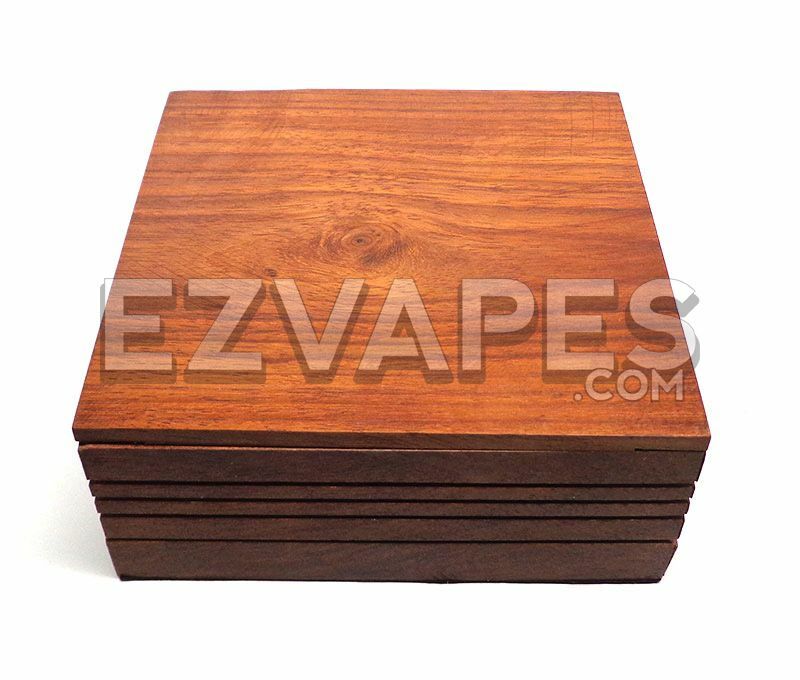 1 x Sheesham Dark Wood Sifting Box 5" x 5"